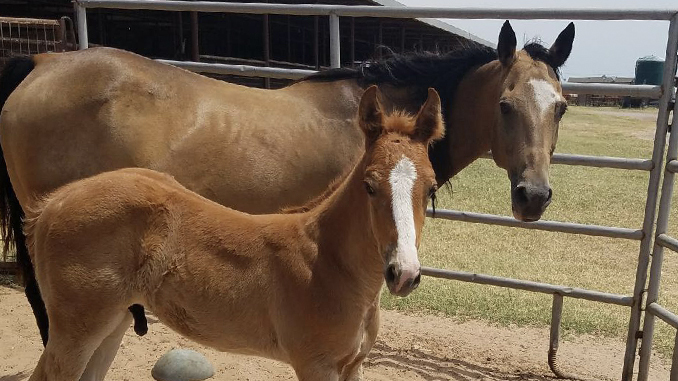 Foal season has come to a close this year, and all over north Texas, foals have been welcomed into the wild world of equestrian sports, most having pre-determined ambitions placed upon them by their breeders and owners. But for any breeder, anticipating and caring for multiple foals is strenuous. Freak accidents occur often due to inclement weather, general horseplay and abandonment. These freak accidents leave one of the parties stressed and afraid, and whether it be the foal or the mare, the age old theory of nature vs. nurture can surely be tested among such unfortunate circumstances. This past foal season, two breeders were able to prove, by complete accident, that there is always a way to find a happy ending when a loss occurs. Although the breeders prefer to remain anonymous, their story is quite touching, and they are happy to share it. For reference, we will call them John and Jane. At John’s ranch, they host a small operation of broodmares and one in particular was due to foal. Upon the birth of said foal, all seemed to be going well for the mare and her newborn. However, approximately 24 hours post-partum, the brood mare colicked, and although every effort was put forth to save her, she passed away. The first few months of life for a foal are crucial for bonding and nourishment from its mother. This unexpected occurrence left John in a bit of a bind. Bottle-feeding a foal isn’t quite like bottle-feeding sheep or calves. It would be difficult to raise a cutting foal on bottle milk alone.